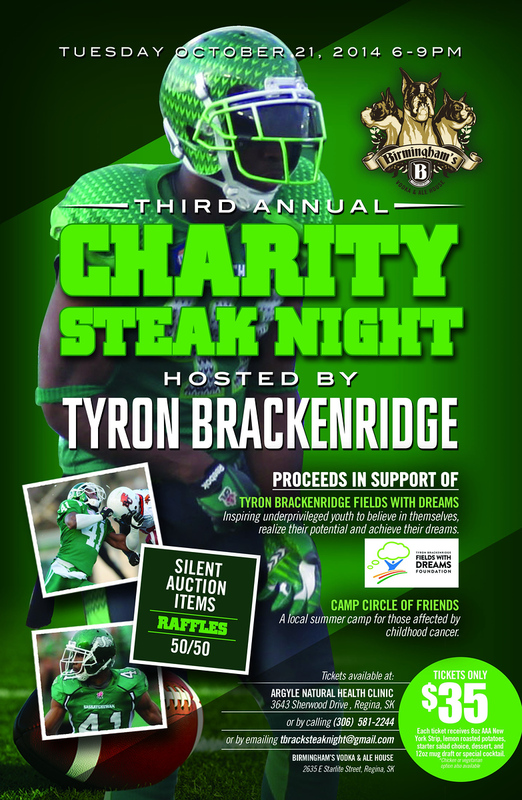 I noticed some tweets from Tyron Brackenridge mentioning his involvement with a fund raising event benefiting the Tyron Brackenridge Fields with Dreams and Camp Circle of Friends organizations and I wanted to help out. For those of you that don’t know who Tyron is I will fill you in! Number 41 is a defensive juggernaut that has brought heart and a level of professionalism and intensity to the back row of the Saskatchewan Roughriders defensive group. Wether he’s trying to take down an offensive lineman or rushing the QB he’s always making a difference. 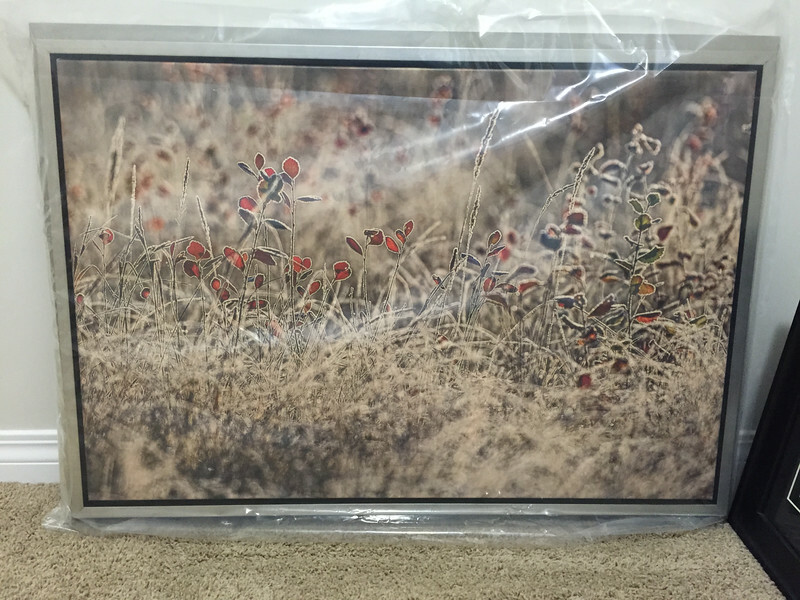 So, I figured I could try and help out by donating a framed 20″x30″ giclee canvas print. It’s #1 of 10 and signed by me. Cost is $1400 retail and I’m hoping it really helps out the causes! Check out the poster below and please try to make it to the event!